Many Americans have yet to warmed to the joy that is Campari. Perhaps it is our childlike aversion to anything that taste remotely bitter. Maybe would-be John Waynes are put off by a drink that is so gloriously crimson in color, as opposed to the manly brown of whiskey. Whatever the reason, people are missing out on a truly glorious spirit. Campari is a classic Italian apertivo with a heritage dating back to the 1860s. It's infusion of fruit, herbs, alcohol, and water remains a guarded secret. Like all apertivos, it is traditionally consumed prior to a meal to stimulate the appetite. 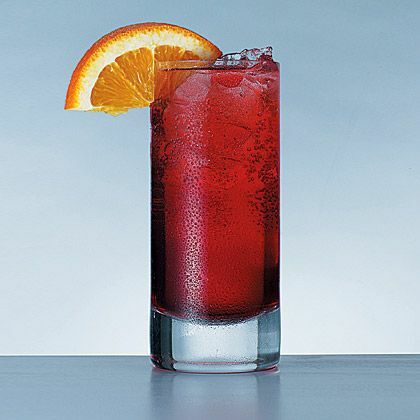 A close cousin of the Campari and Soda is the Americano, which adds a shot of sweet vermouth to the mix. This was the very first cocktail ordered by Ian Fleming's James Bond in the premier Bond novel, Casino Royale. 007 orders one again in the short story "From a View to a Kill." Remember, Bond's tastes in spirits go far beyond vodka Martinis. 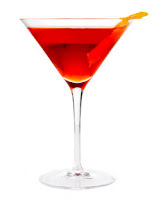 Speaking of Martinis, another wonderful Campari drink is a Negroni. It involves equal measures of Campari, gin, and sweet vermouth. It's often served on the rocks, but I sometime enjoys serving them shaken over ice and served in a cocktail glass, Martini-style. If you want an extra dose of Vitamin C, another option is Campari and orange juice, which is far more refreshing than you might imagine. With summer rapidly approaching, I look forward to lounging on the patio, sipping assorted Campari concoctions, bossa nova playing softly in the background.